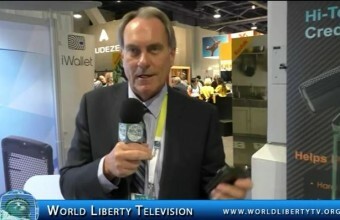 World Liberty TV , Team was on hand and visited the Marley Booth at CES 2015 in Las Vegas, and did reviews of the Get Together Speaker and Liberate XLBT Headphones ,right here in our World Liberty TV. See Some of The Newest Technology item debuts at The International CES 2015 ,reviewed right here in our World Liberty TV, Technology Channels. See Some of The Newest Technology Debuts at The International CES 2015 Las Vegas,World Liberty TV, Technology Review team was on hand to interview the movers and shakers of the Technology World, see some of the companies we think you will be interested in viewing right here in our World Liberty TV, Technology Channel , See more in our CES Product Reviews -2. 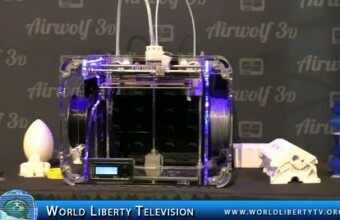 The Consumer Electronics Association (CEA) announced that the 3D printing footprint at the 2015 International CES has doubled from the 2014 CES. Returning for its second year, the 3D Printing Marketplace, presented by TCT Magazine + Personalize, will feature more than 30 innovative companies showcasing the latest advancements in 3D printing technology. Owned and produced by CEA, the 2015 CES, the global gathering place for all who thrive on the business of consumer technologies, which ran January 6-9, 2015 in Las Vegas, Nevada. According to CEA’s most recent U.S. Consumer Electronics Sales and Forecast report, sales of desktop 3D printers are expected to reach 67,000 units in 2014, earning $76 million in revenue, an increase of 43 percent over 2013. In total, 3D printing exhibits at the 2015 CES are expected to cover more than 14,000 net square feet of exhibit space, up from 7,200 net square feet at the 2014 CES. Robot base refers to the Personal Robot as a “revolutionary product that changes everything,” adding that it is the first company to combine deep learning and robotics. Sensors are included so the robot can monitor its environment and perform tasks like checking in guests at hotels and telling children stories before they go to bed, the International Business Times reported. WiFi and Bluetooth connectivity is also available, and the machine uses a single algorithm for computer vision and facial, emotion and pattern recognition. 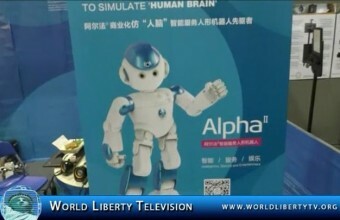 See Robotbase and many many more Robot’s showcased at the International CES 2013,right here in our World Liberty TV, Technology Channel. See Some of The Leading Smartwatch’s, Heart Monitors and Iwallet debuts at The International CES 2015 at The Sands Expo ,Las Vegas , in this video you will see many of the items on the market never seen before, launched exclusively at International CES 2015. 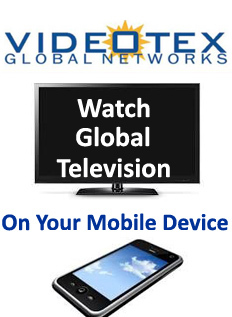 You will also hear from the CEO’s The Movers and the shakers of these Technologies,sit back and relax and enjoy the Video in our World Liberty TV, Technology Channel. 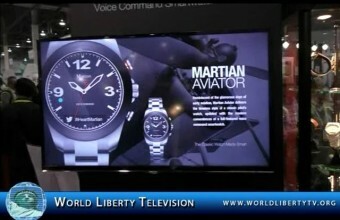 See Some of The Newest Technology Debuts at The International CES 2015 Las Vegas,World Liberty TV, Technology Review team was on hand to interview the movers and shakers of the Technology World, see some of the companies we think you will be interested in viewing right here in our World Liberty TV, Technology Channel. 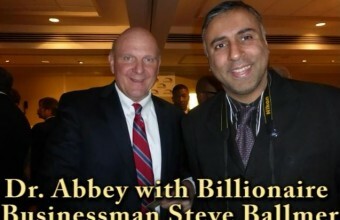 Steve” Ballmer is an American businessman who was the chief executive officer of Microsoft from January 2000 to February 2014, and is the current owner of the Los Angeles Clippers. As of 2014, his personal wealth is estimated at US$20.7 billion, ranking number 32 on the Forbes 400. It was announced on August 23, 2013, that he would step down as Microsoft’s CEO within 12 months. On February 4, 2014, Ballmer retired as CEO and was succeeded by Satya Nadella; Ballmer resigned from the Board of Directors on August 19, 2014 to prepare for teaching a new class and for the start of the NBA season. On May 29, 2014, Ballmer placed a bid of $2 billion to purchase the Los Angeles Clippers of the National Basketball Association (NBA). He officially became the Clippers owner on August 12, 2014. 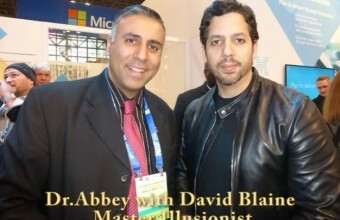 David Blaine is an American magician, illusionist and endurance artist. He is best known for his high-profile feats of endurance, and has made his name as a performer of street and close-up magic. He has performed all over the world and has set and broken several world records. On May 19, 1997, Blaine’s first television special, David Blaine: Street Magic aired on then NBC. According to the New York Daily News: “Blaine can lay claim to his own brand of wizardry. The magic he offers in tonight’s show operates on an uncommonly personal level. When asked about his performance style, David explained, “I’d like to bring magic back to the place it used to be 100 years ago. Time magazine commented, “his deceptively low-key, ultracool manner leaves spectators more amazed than if he’d razzle-dazzled. The concept of focusing on spectator reactions changed the way that magic has been shown on television. The New York Times wrote: “He’s taken a craft that’s been around for hundreds of years and done something unique and fresh with it. Blaine starred in a 90-minute ABC television special, “David Blaine: Real or Magic”, on November 19, 2013. The special was directed by Emmy Award winning director Matthew Akers and featured Blaine performing magic for his favorite celebrities and public figures including Woody Allen, Robert De Niro, George W. Bush, Bryan Cranston, Aaron Paul, Harrison Ford, Kanye West, Jamie Foxx, Ricky Gervais, Woody Harrelson, Stephen Hawking, Lenny Kravitz, Macklemore, Olivia Wilde, Katy Perry, Michael Phelps, Will Smith, Jada Pinkett Smith, Jon Stewart, Psy, Emmy Rossum and Jason Sudeikis. The annual blockbuster event where reporters and industry analysts discover the future of business, consumer, lifestyle and digital technologies for work, for home, for play – hot products from cool companies, companies they know, companies they haven’t discovered yet. Away from the noise and distraction of the show floor. It’s the one event where industry leaders, innovators, award winners, visionaries, startups and upstarts make new connections, promote brand, take leadership and open new business markets. Shake hands with more than 1,300 pre-qualified journalists, bloggers, analysts and key industry influencers – to score news coverage, product reviews and executive interviews. 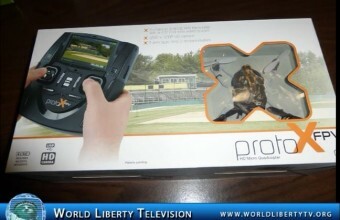 See some of the newest products ,showcased at Showstoppers in our World Liberty TV, Technology Review Channel ,Showstoppers brings the best and the greatest Tech companies together ,see some of them showcased right here in our World Liberty TV, Technology Review Channels. The most dominant player in NBA and a grand entertainer, Shaquille O’Neal nicknamed Shaq, is a rare gregarious personality in the history of sports. The hulking 7 feet, 315 pound giant American basket ball player has a controversial success story in other areas of entertainment like rap music and movies. Renowned for his witty and humorous comments in media, the professional NBA athlete has a Net worth of $250 million making him one of the wealthiest sportsperson in the world. The NBA superstar was born in Newark, New Jersey in 1972, and graduated from the Louisiana State University. He is in fact the only NBA player with an MBA degree. Nicknamed Diesel and Superman, the entertainer after reaping success in the ball game, turned his attention to films appearing in Kazaam, Blue Chips and Steel which earned decent public reviews. Off the court, Shaquille also reinvented himself as a rap artist. His solo debut album achieved the prestigious platinum status and overwhelmed with its grand success, the great entertainer has launched four rap albums till date. Starting his career playing for Orlando Magic, and carrying the good work till Boston Celtics, Shaquille covered an extensive journey sweating hard work and earning fame and wealth in return. The professional athlete has also been a spokesman for reputed brands like Reebok and Pepsi. During his 19 year career, the NBA superstar earned approximate $292 million in salary and nearly as much from the various endorsements. The big hearted man adored spending as much as earning it, which is quite clear from his monthly expenses on vacations ($110,505), dry cleanings ($6,730) and possessions of plush cars which include Rolls Royce Phantom, Lamborghini Gallardo and Mercedes-Benz SL550. Hulk Shaquille’s expertise in scoring, blocking, rebounding and shooting during the course of play brought nightmares for his opponents and a flurry of eminence and affluence for himself. With prestigious 15 All-star game appearances, 4 NBA titles and a league MVP award, Shaquille has earned the repute of being termed the connoisseur of basket ball. He also became the first player in the NBA history to be named Player of the week in his first week in the league. 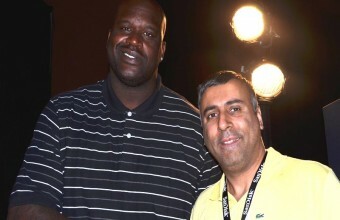 World Liberty TV, Team was on hand at CES 2015,Moster Press Conference where shaq was the Spokesperson for The Products ,and that’s where we did the interview with him. 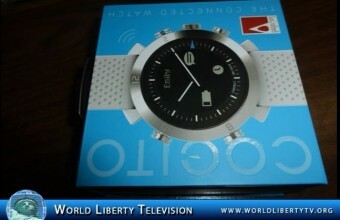 World Liberty TV, Tech and Technology Review Channel Covered the following Press Conferences at CES 2015,with hundreds of product debuts , and never seen technology by the leading Technology Companies World Wide. LG Electronics Inc. (Korean: LG) is a South Korean multinational electronics company headquartered in Yeouido-dong, Seoul, and a member of the LG Group, employing 82,000 people working in more than 100 locations around the world. With 2013 global sales of USD 53.10 billion (KRW 58.14 trillion), the company operates its business through five divisions namely: Mobile Communications, Home Entertainment, Home Appliances, Air Conditioning & Energy Solutions, and Vehicle Components. CEO of LG Electronics is Bon-joon Koo, who assumed the role of Vice Chairman of LG Electronics on October 1, 2010. 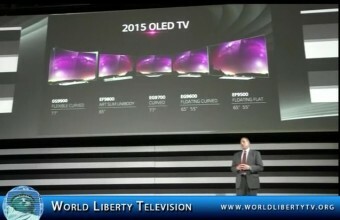 In 2011 LG Electronics was the world’s second-largest television manufacturer. Monster Cable Products, Inc. was founded in 1979 by Noel Lee®, who was then a laser-fusion design engineer™ at Lawrence-Livermore Laboratory™, when hooked up to loudspeakers. 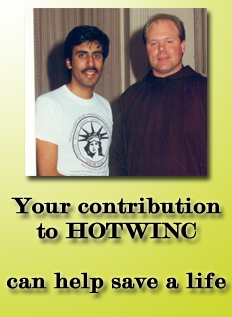 From this discovery, he developed aas well as an audiophile and professional drummer. Lee® discovered that wires of different constructions produced varying degrees of audio performance high performance speaker cable, named it Monster Cable, and literally created an industry. The invention of Monster Cable created a new product category that revolutionized® the audio market. Prior to Monster Cable, most stereo systems were wired with ordinary “zip-cord,” the same cable used for electrical household and lamp wire. Their inferior construction and cheap materials restricts power, dynamic range and clarity in the lows, mids, and highs. TCL Corporation: Is a Chinese multinational electronics company headquartered in Huizhou, Guangdong, China. It designs, develops, manufactures and sells products including television sets, mobile phones, air conditioners, washing machines, refrigerators and small electrical appliances. In 2010 it was the world’s 25th-largest consumer electronics producer and third-largest television producer (after Samsung and LG). The VOXX family of brands.We believe the “VOXX” portfolio of brands is one of our greatest strengths and offers us significant opportunity for increased market penetration. Today, we have over 30 global brands in our portfolio, which provides us with the ability to bring to market products under brands that consumers know to be quality. 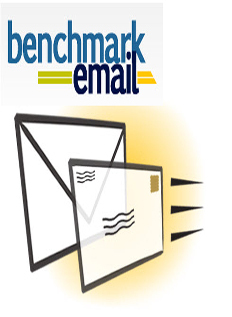 In addition, with such a wide brand portfolio, we can more effectively manage channels and sell into multiple outlets as well as leverage relationships with distributors, retailers, aftermarket car dealers and expeditors, and to global OEMs. Finally, we are open to opportunities to license some of the brands as an additional use of the brands and a growth strategy. Samsung: is a South Korean multinational conglomerate company headquartered in Samsung Town, Seoul. It comprises numerous subsidiaries and affiliated businesses, most of them united under the Samsung brand, and is the largest South Korean chaebol business conglomerate.